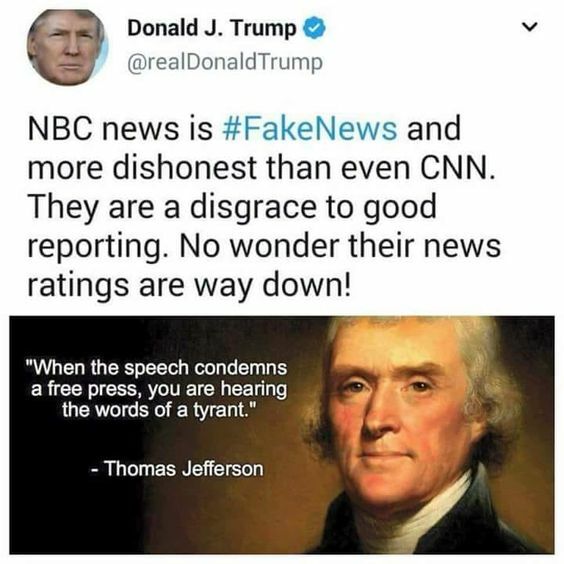 This entry was posted in News & Views, Quotes and tagged #fakenews, CNN, condemnation, criticism, disgrace, dishonesty, Donald Trump, fear, free press, hiding, media, NBC News, ratings, speech, Thomas Jefferson, traitor, treason, tyrant on May 20, 2018 by Ray Buchanan. These wise words from the founder of the Methodist movement are perfect for the way I feel this morning. Each of us have our own thoughts and opinions about the outcome of the Presidential election. And none of us have the right to condemn someone for not agreeing with us. The will of the majority has been made known. Now it is time for all of us to do our best to support the new President in every possible way. Time will show whose opinions about the choice of our leader was more correct. As Wesley stated, everyone of us must give an account of themselves to God. Until then, I will pray for our new leaders, pray for the safety of our nation and our planet, and pray for all those that might not agree with opinions. This entry was posted in Hunger & Poverty, News & Views, Quotes, Spirituality & Religious Writings and tagged accout God, Advice to a People Called Methodist, condemnation, difference of opinion, John Wesley, judgment, liberty, opinion, Presidential election, thinking, wisdom on November 10, 2016 by Ray Buchanan.